Norwich beat Millwall in seven-goal thriller to go top as Leeds are thumped 4-1 by West Brom. Jordan Rhodes and Teemu Pukki struck in stoppage time as Norwich recorded an incredible 4-3 victory over Millwall to move top of the Sky Bet Championship. Having thrown away a 2-1 lead in the closing stages to fall 3-2 behind, Rhodes and Pukki helped the Canaries to a fifth successive league win in dramatic circumstances. Pukki had cancelled out Tom Elliott's first-half opener and then saw his penalty saved by Millwall goalkeeper Ben Amos before Moritz Leitner edged the Canaries in front. 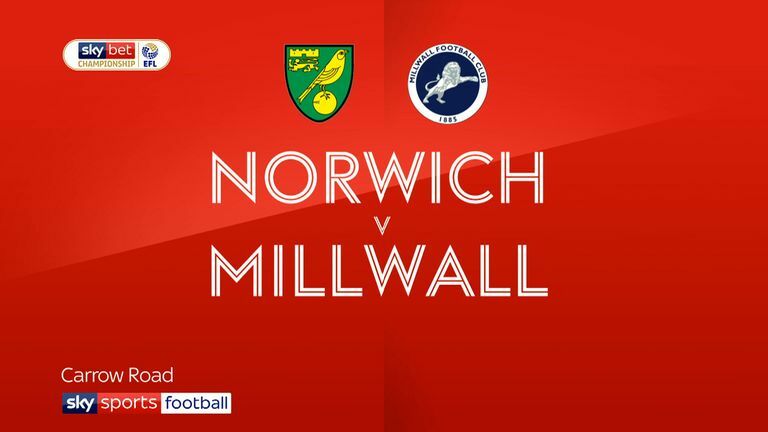 Highlights of the Sky Bet Championship match between Norwich and Millwall. But in an astonishing final 11 minutes, Ryan Leonard and Murray Wallace thought they had pinched the points for the Lions only for Rhodes to level and Pukki to pounce in the seventh minute of stoppage time. That result sent Norwich top after Leeds were thumped 4-1 by West Brom in the evening kick-off. The Baggies scored all their goals in the second half thanks to Hal Robson-Kanu, Matt Phillips, Harvey Barnes and Dwight Gayle, before Pablo Hernandez netted a late consolation for Leeds. Jordan Hugill scored twice for Middlesbrough as they beat Wigan 2-0, while Derby and Nottingham Forest both failed to climb above Sheffield United. The Blades drew 0-0 with Steel City rivals Sheffield Wednesday on Friday night, but Derby were thumped 3-0 by Aston Villa and Forest drew 0-0 against Stoke at the City Ground. 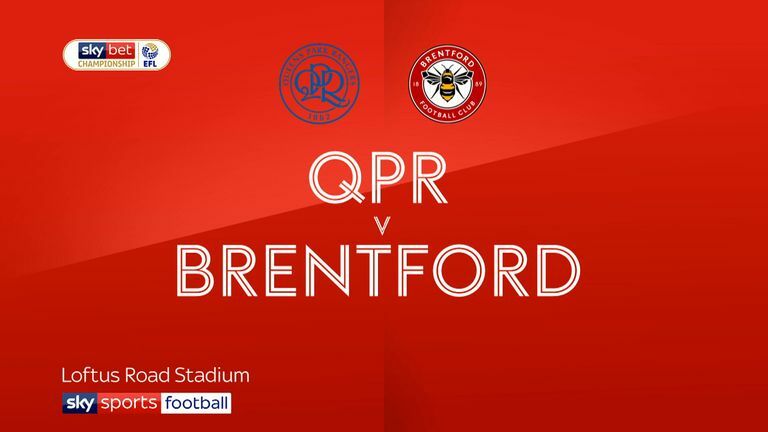 Highlights of the Sky Bet Championship match between QPR and Brentford. Barrie McKay's 15th-minute strike earned Swansea a 1-0 victory at struggling Bolton, Bradley Dack's strike gained Blackburn a 1-1 draw against Rotherham and QPR came from behind to see off west London rivals Brentford at Loftus Road 3-2. 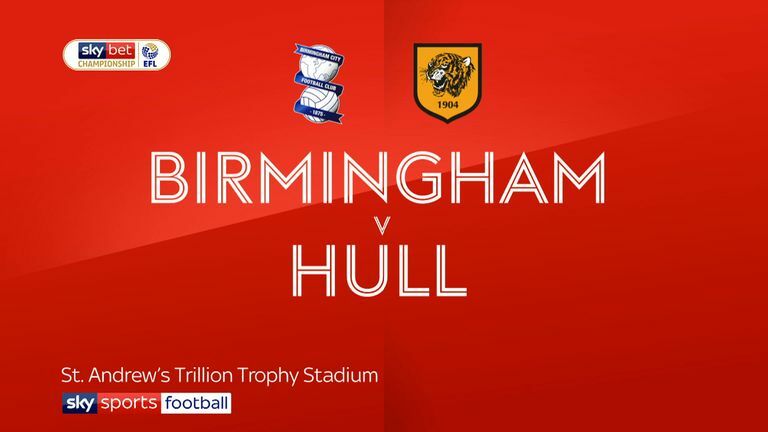 Che Adams hit a hat-trick for Birmingham as they denied Hull's comeback at St Andrew's. The Tigers had clawed their way back from two goals down to lead, but Adams struck his third to earn the Blues a point in a 3-3 draw. Bristol City were beaten 1-0 by Preston as Callum Robinson struck, and Reading drew 2-2 with Ipswich as Yakou Meite netted twice to peg back the Tractor Boys.